Everybody needs groceries, right? Millions of people go to Massachusetts supermarkets every day (especially when bad weather is forecasted.) Because of these high numbers, it makes sense that many people are injured supermarket accidents, requiring the services of a Boston, Massachusetts supermarket injury lawyer, or a Boston, Massachusetts grocery story accident attorney. A lot of people may not think that a slip and fall accident could be as serious as other kinds of accidents, but the pain involved, the costly medical expenses, and the typical recovery times can cause enormous physical, emotional and financial losses for the victim. For anyone who doubts that, try slipping backward on water or jelly in a supermarket aisle, as your head and back slam into the floor with all your weight on top of you. Not exactly fun, is it? In fact, you may suffer physical pain and limitations, as well as emotional stress caused by that fall for months or sometimes years to come. If you've been injured in such an accident and need some immediate tips, click here right now to receive our FREE article "The Top 10 Things To Do After Suffering An Accident Or Injury In Massachusetts." This document contains invaluable information for Massachusetts grocery store injury victims, discussing the legal steps recommended after sustaining a Massachusetts supermarket slip and fall or trip and fall injury. Defective automatic doors at entrances and exits. Very commonly, liquid that is allowed to remain on a floor, in a store aisle, or on the floor of a public bathroom inside the store. 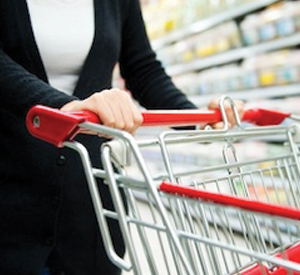 Does Massachusetts Law Hold The Supermarket Or Grocery Store Liable For My Injuries? Despite supermarkets taking appropriate safety measures, Massachusetts supermarket accidents such as the above still occur. These types of injuries are governed under a special area of Massachusetts law called "premises liability." Under Massachusetts law, supermarket owners and operators are legally obligated to ensure that their property is reasonably safe for customers, visitors and members of the general public. When they breach this legal duty, they can be held liable for the resulting injuries that can occur. Our Boston, Massachusetts supermarket accident attorneys have decades of successful experience with these cases and we know how to get maximum results for our clients, including payment for medical bills, lost wages and pain and suffering. Because of these time-sensitivities, if you or someone you know has been injured in a supermarket accident, it is very important that you contact our Boston, Massachusetts supermarket accident law firm very quickly so that we can investigate the accident site, secure important evidence and begin the process of winning your case. We represent personal injury clients in the metropolitan Boston area, and throughout eastern Massachusetts. Call us at Ph. : (781) 320-0062 or (617) 285-3600. You can also email us confidentially. One of our experienced staff will either speak with you when you call us, or will call you back immediately. We are available 24/7 to respond to you. We provide a FREE initial consultation, and you will owe us NO FEES UNLESS WE SUCCESSFULLY OBTAIN FINANCIAL COMPENSATION ON YOUR BEHALF. The Law Offices of William D. Kickham & Associates accepts Massachusetts supermarket accident cases against the following grocers and supermarkets, as well as others. Contact Our Offices. We Can Travel to You If Necessary. If you are too inured to travel to our offices in Westwood or Boston, we can travel to your home or hospital, if necessary, to assist you with your case. You will pay absolutely NO FEES to our legal firm unless we win your case. Contact us at (781) 320-0062 or (617) 285-3600 or email us confidentially here. We offer all of our potential legal clients a FREE INITIAL CONSULTATION of up to 30 minutes and will respond quickly to your call or email about your injury. Attorney Kickham is a professional legal commentator for a variety of top-notch media, including Court TV (now In Session on HLN,) Fox News TV-25/Boston, The Boston Herald, WBZ-AM Radio 1030, WCVB-TV5/Boston, Nightside With Dan Rea, Greater Boston With Emily Rooney, Money Matters Radio/Boston, and The Metro Newspaper/ Boston. Reporters seek out Attorney William D. Kickham because they know he is an expert Boston, Massachusetts personal injury lawyer. We have a reputation for successfully obtaining substantial liability insurance settlements or jury verdicts for our accident and injury clients. Put that expertise to work for you. You won't be sorry.